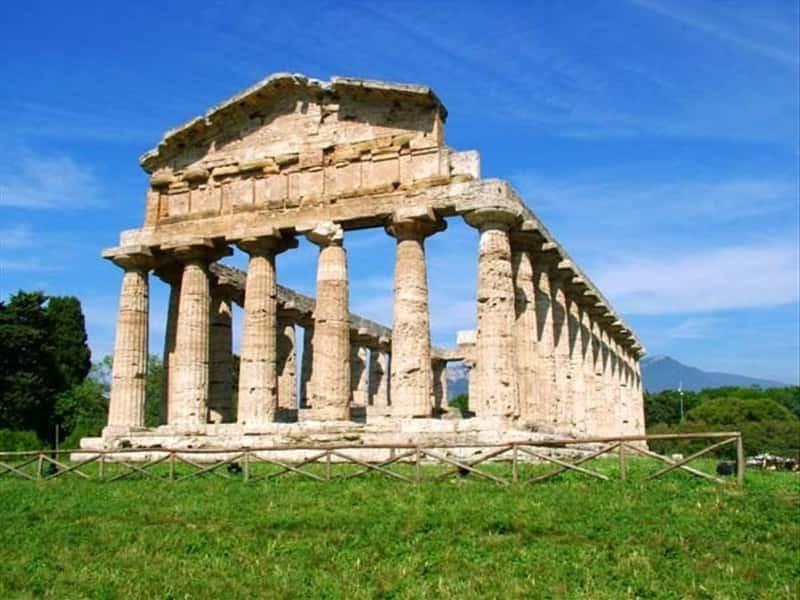 At the edge of the Sele plains, where Cilento begins, is Paestum. 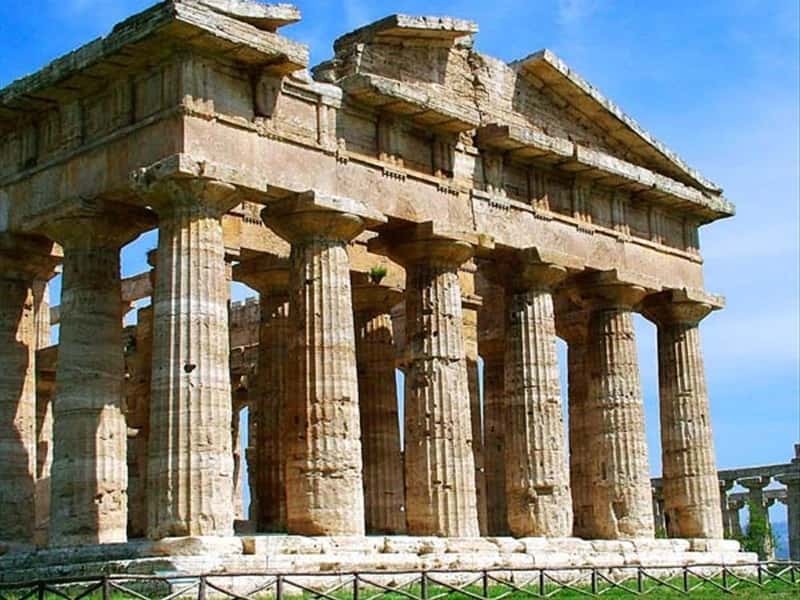 It is one of the most precious of the archaeological gems of Italy, known the world over, especially for its spectacular Doric temples. Legend attributes them to the Argonauts of Greek mythology, but it was the inhabitants of Sibari that founded Paestum in the VI century BC. The city, first called Poseidonia, soon became one of the most flourishing of the Mediterranean sea. Its demise coincided with the fall of the Roman Empire. The buildings were stripped for the construction of churches and palaces, and the ruins forgotten until the 18th century, when travelers began to return here. 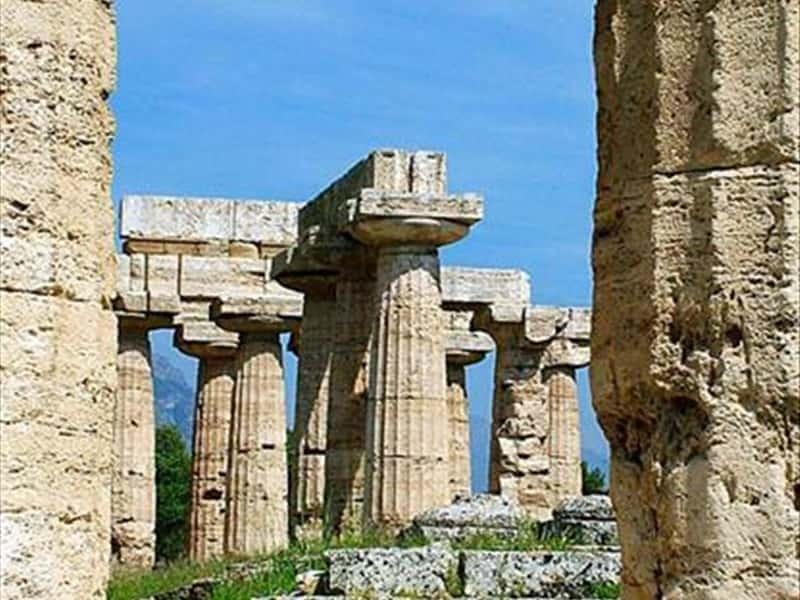 The three Doric temples from the V century BC, among the best preserved of all of antiquity, are the marvels of this Archaeological Park, as they stand majestically on the plains in front of the sea: the Temple of Neptune, the Basilica and the temple of Cerere. The first two are tied to the cult of Hera (Greek goddess of marriage and wife of Zeus). The 5 Km long walls constitute one of the best preserved fortified structures in all Magna Grecia. In summer the "Night trails" amid the Temples of Paestum permit the visitors to enjoy the archaeological area by moonlight, a magical experience. In the area of the Roman city, apart from the Capitolium, there are other significant remains: the Forum, the Amphitheatre and the remains of various religious structures. To the west of the temples is Via Sacra, the street of the processions, the foundations of which are Greek. Not far from the excavation is the Archaeological Museum of Paestum, home to some of the most important works in Southern Italy. 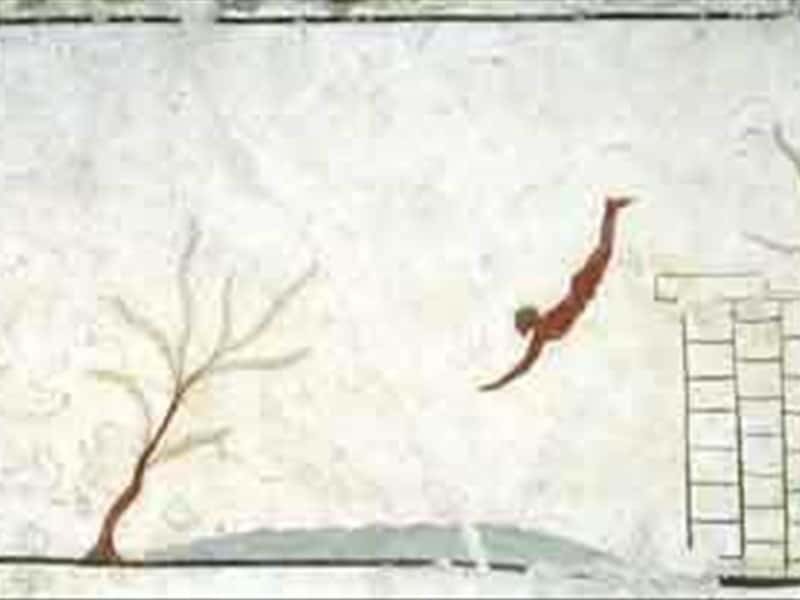 The most important are the frescoes from the V century BC "Tomb of the Diver". It is a painted box tomb, made up of four lateral slabs, decorated with banquet scenes. The cover depicts a diving boy: the scene probably symbolizes the passage from life to the world of dead. The sculptured metopes are important decorative elements of the temples, as are the frescoes of the IV century BC lucanian tombs, with the typical "Return of the warrior" scenes. The Aeneolithic relics of Gaudo necropolis are preserved here, as well as archaic, (the terracotta Zeus statue), classic and Hellenistic (the bronze statue of Sileno Marsia) era items. In the museum the full room "tomb of a man and a woman" from Agropoli has been reconstructed. With the buried couple there is also a famous vase on which the myth of Bellerophon is painted, signed by Assteas. The relics of the nearby sanctuary of Hera Argiva, the Heraion of Sele, are also kept there. This town web page has been visited 396,808 times.